Give your room a little fairy magic! 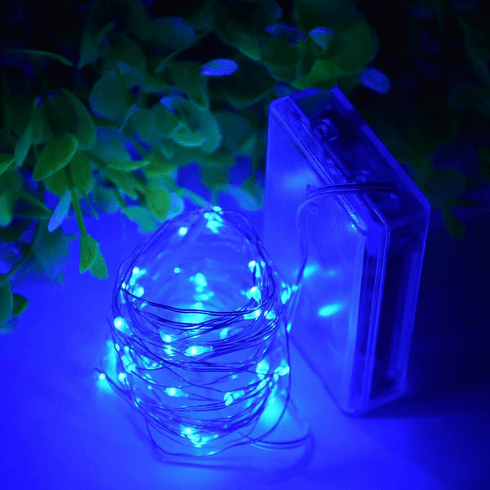 This 20 count strand of battery operated LED lights features an ultra thin bendable copper wire. The LED lights shine blue and lend some special sparkle to any space. Weight 0.75 pounds. 84" x 0" x 0". Copper, LED Light. UPC Number: 00810851022119.